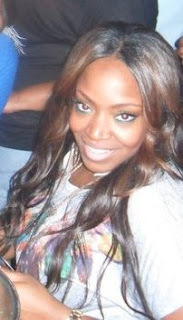 STYLIST SPOTLIGHT: Latoya Kelley – I Heart Hair, Inc. I Heart Hair loves to showcase other talented men and women in the fashion industry who are making huge moves. Check out our featured stylist and some of the things she HEARTS! What all do you do? : I specialize in weaving, natural hair, cutting, and coloring. How long have you been in the beauty/fashion industry? : I have been in the business professionally for 7 years. How long have you been in the beauty/fashion industry? : When I wear my weave, I wash, condition, and style it every 7-10 days. I make sure to deep condition and treat my hair at least twice a month. I wear my weave for 3 months, and then I take it out, wash, treat, and trim my ends. I sometimes wear my own natural hair out for 2-4 weeks to let it breathe, but it all depends on the time of year and how I'm feeling. When I wear my own hair, I have to wash and condition it every week because my texture is fine and can get oily very fast. What is your hair regimen? : I have so many products that I love to use, but I absolutely love my Tancho stick, It really helps to eliminate flyaways, smooth edges, and it has a great smell! I love Toni & Guy's S Factor line of shampoo and conditioner. It really aids in strengthening the hair, balances moisture, and adds great shine to tresses. I love Kenra's medium hold styling spray. I use this all the time on clients when they want their styles to last all day but not be hard as a rock. The hair still has softness and movement with this spray. I love Argan oil treatment. It really nourishes the hair and scalp without being too heavy on the hair. What Do You Heart? : I heart my family, friends, and all clients because they are my extended family. I also heart all things beauty, music, and fashion. It's just something about this industry that excites me every day and I was definitely born to do this! This industry allows me to be as artistic as I want to be with no boundaries and I definitely Heart that!